A few year ago I attended a cooking demo at the International Culinary Center in NYC featuring Jacques Pepin. 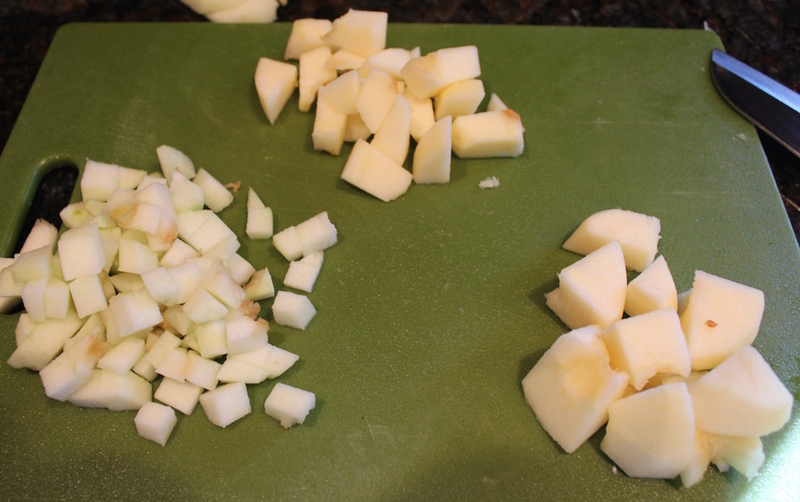 You would think a group of professional cooks wouldn’t need a lesson in how to peel an apple, however, even the most basic skills can be improved upon. 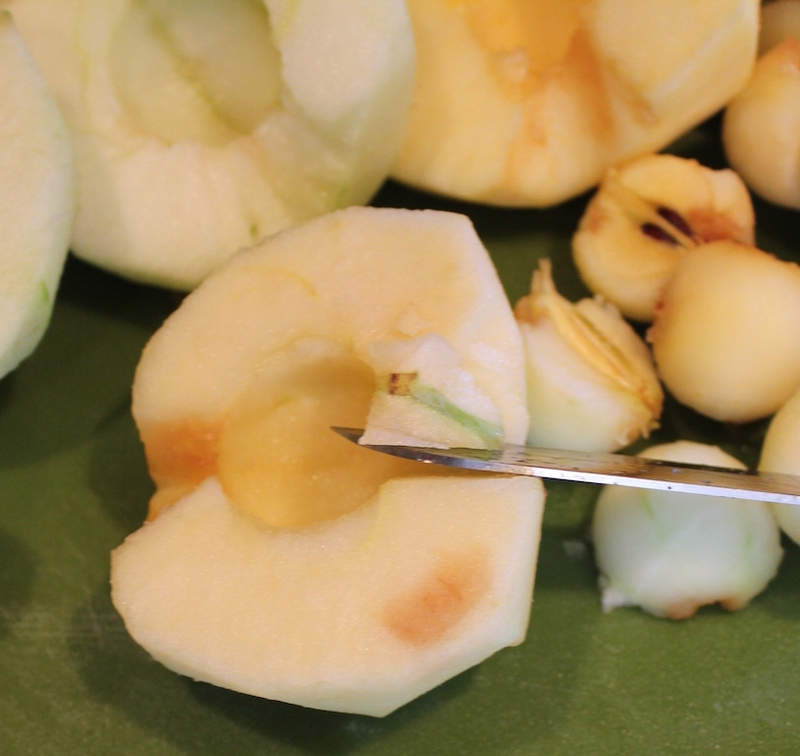 Whether you just want to snack on a peeled and cut apple, or use in a pie, soup, or applesauce, this technique to peel and cut an apple is simple and effective. 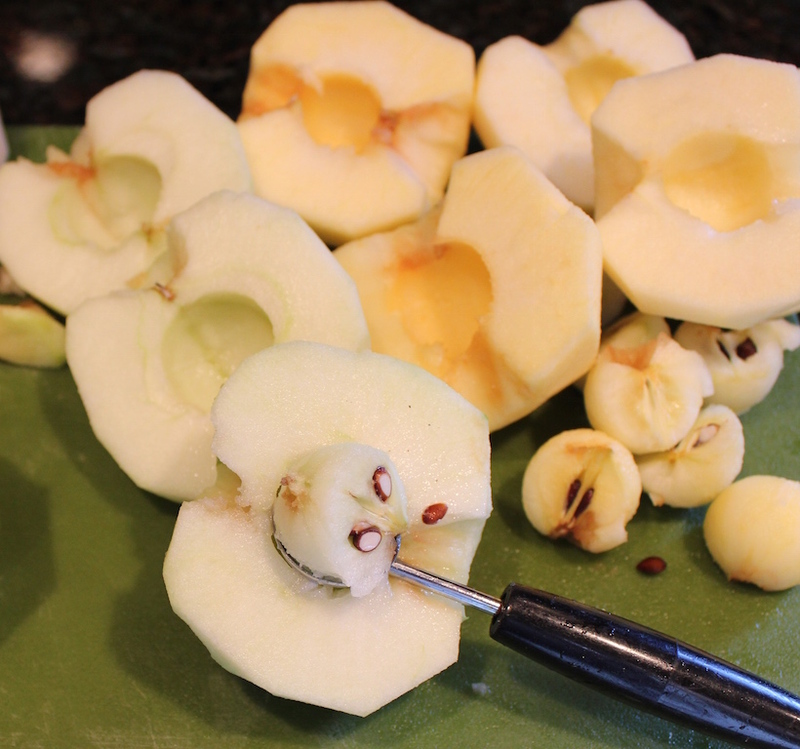 Insert the tip of a sharp paring knife into the stem end of the apple and move diagonally along the top. 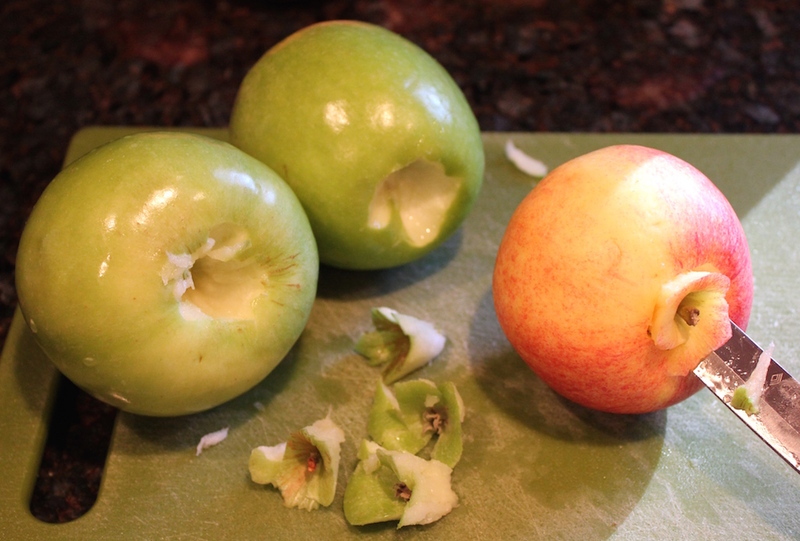 Repeat the same procedure with the blossom (bottom) end of the apple. 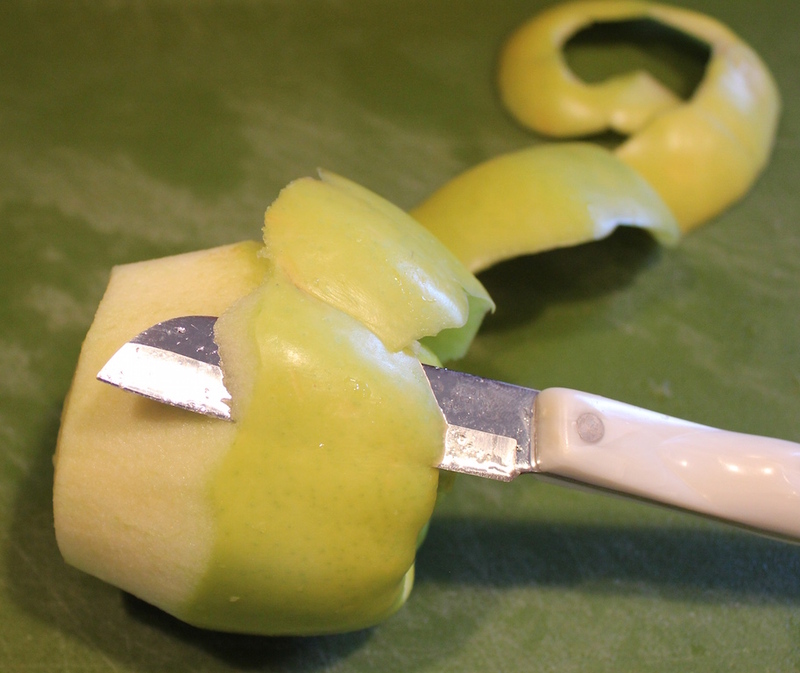 Peel away the skin with the paring knife, starting at the top. Turn the apple round and round to the bottom end. 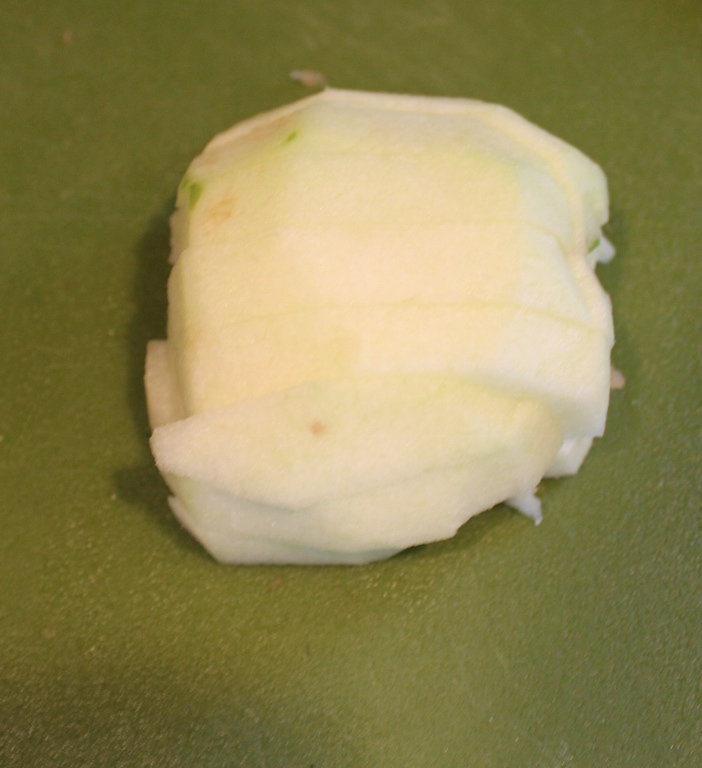 Place the apple on a cutting board vertically and cut in half. 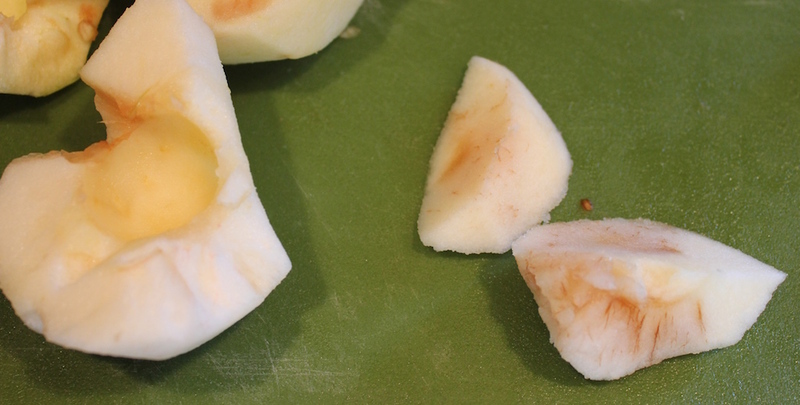 Remove the core from each half with a melon baller. 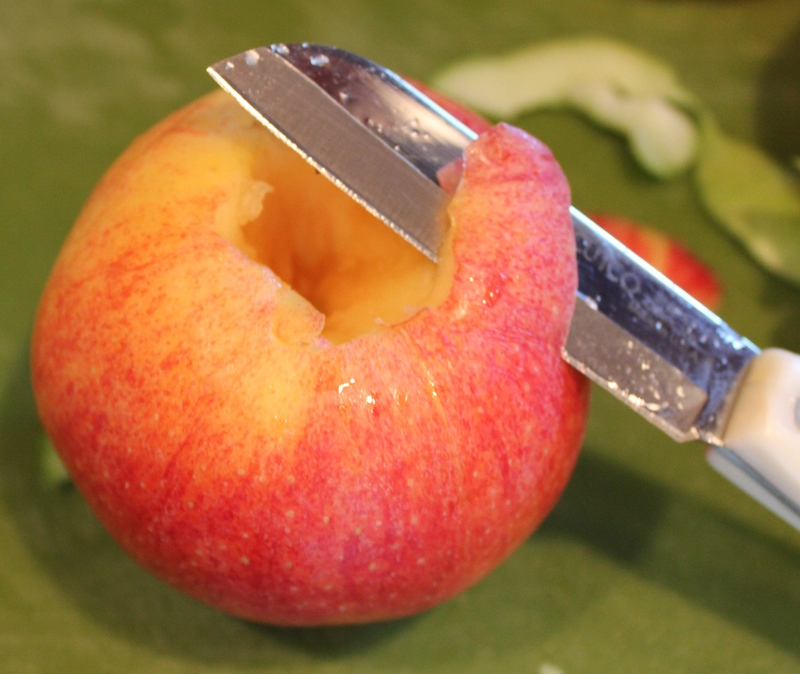 If you don’t have a melon baller, a very handy little tool by the way, cut the apple in half again and slide the knife straight across just under the core. 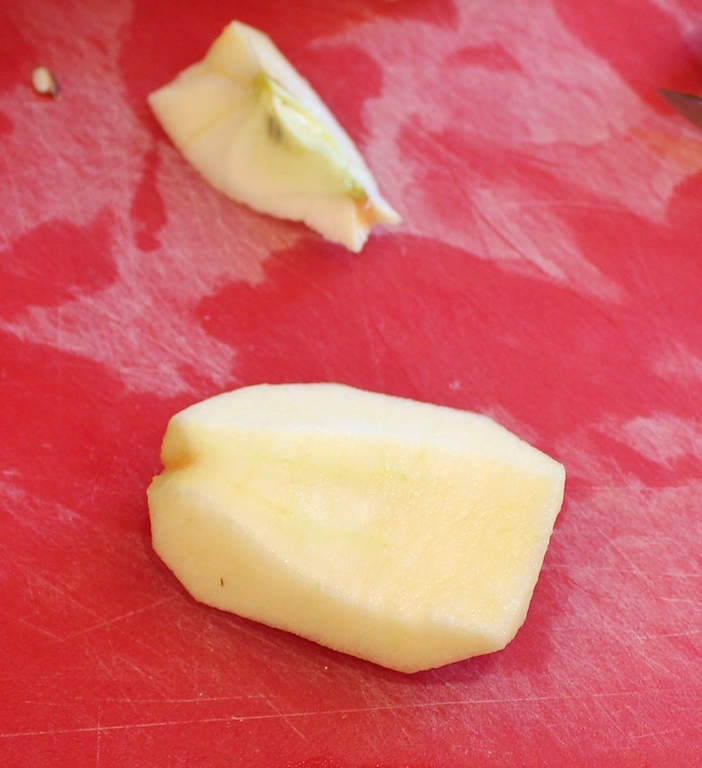 Remove any remaining stem pieces trim with a paring knife using a “V” cut. 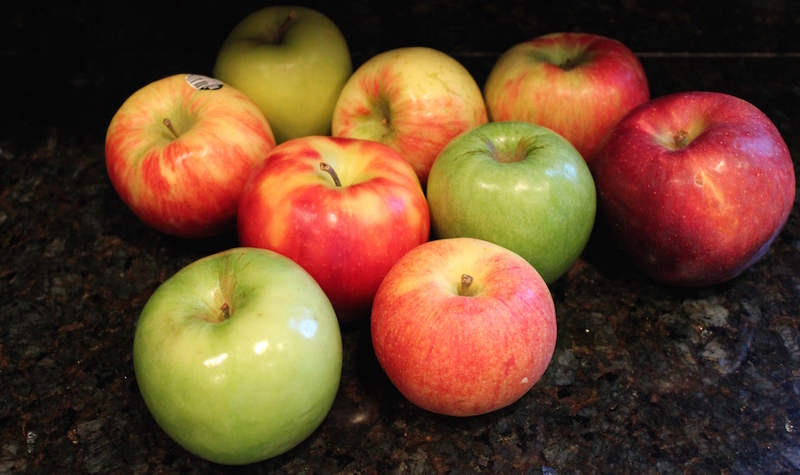 Transporting from the grocery store to home can bruise the apple. Just cut away and toss. 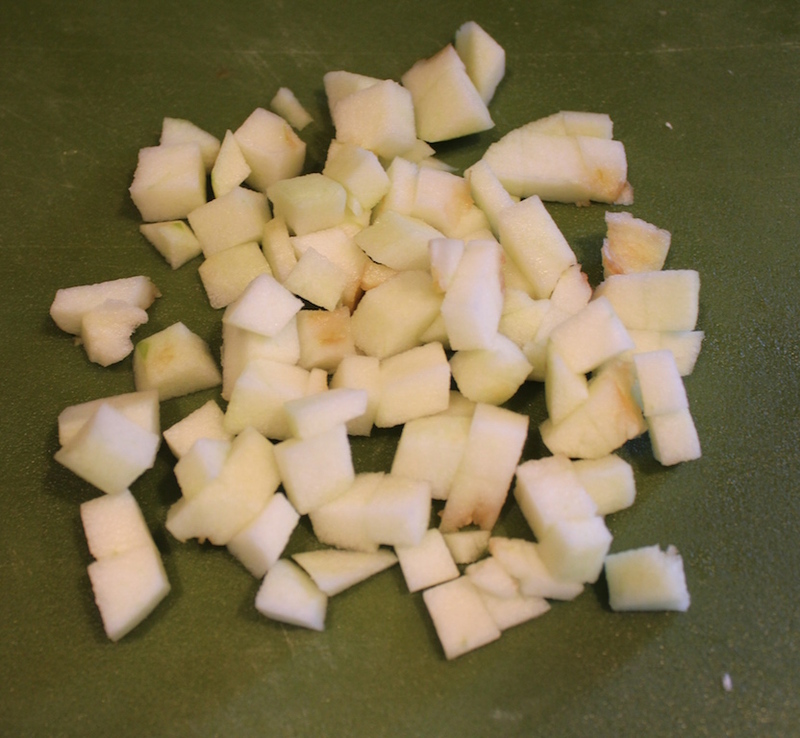 To chop into large pieces, cut the apple into three slices. 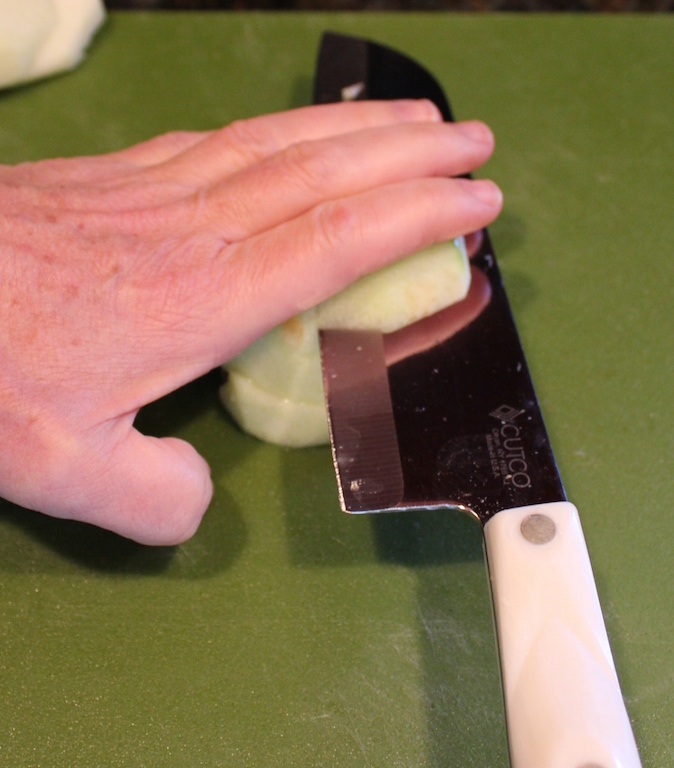 Turn 90 degrees and cut another three slices. 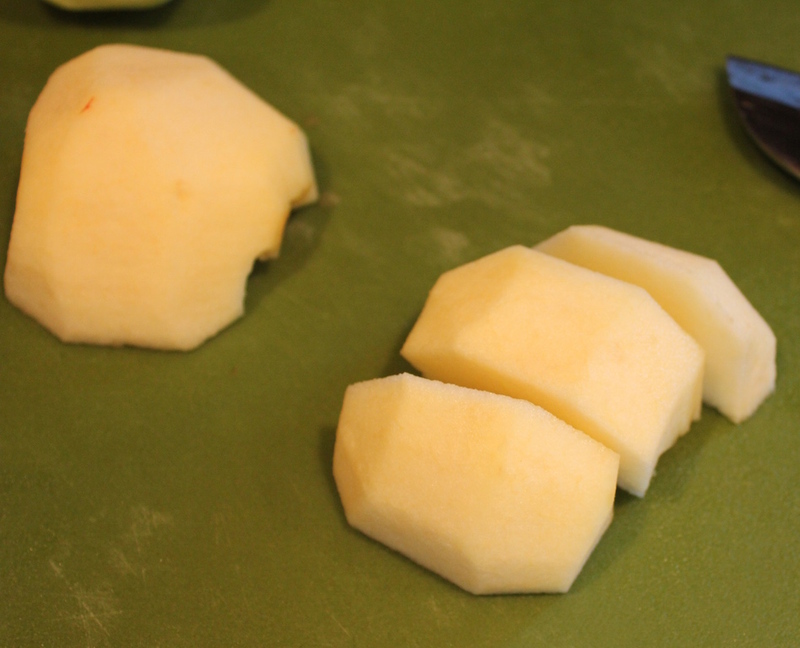 For smaller pieces, cut into as many slices that give you the size you want and then an equal number of slices after turning 90 degrees. 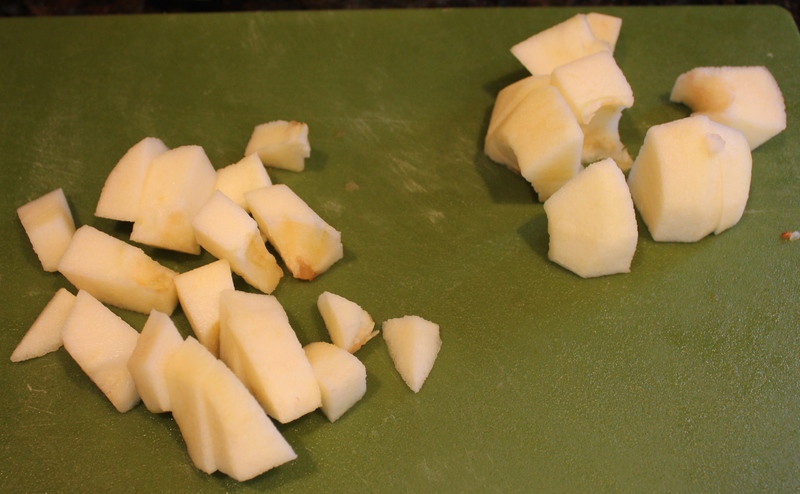 Place the apple, cut side on the board, place your hand on the top and slide the knife parallel to the cutting board straight through into three or four slices. 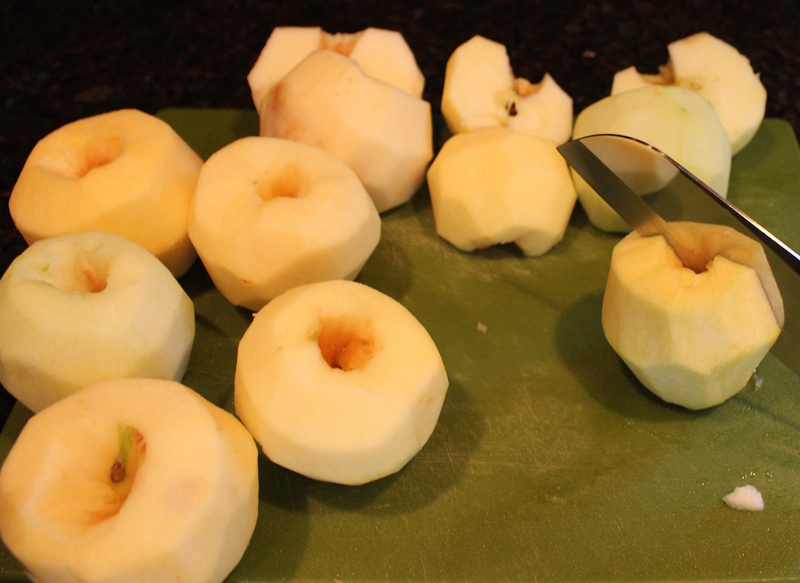 Cut the apple into thin slices, turn 90 degrees and cut into the same number of slices. 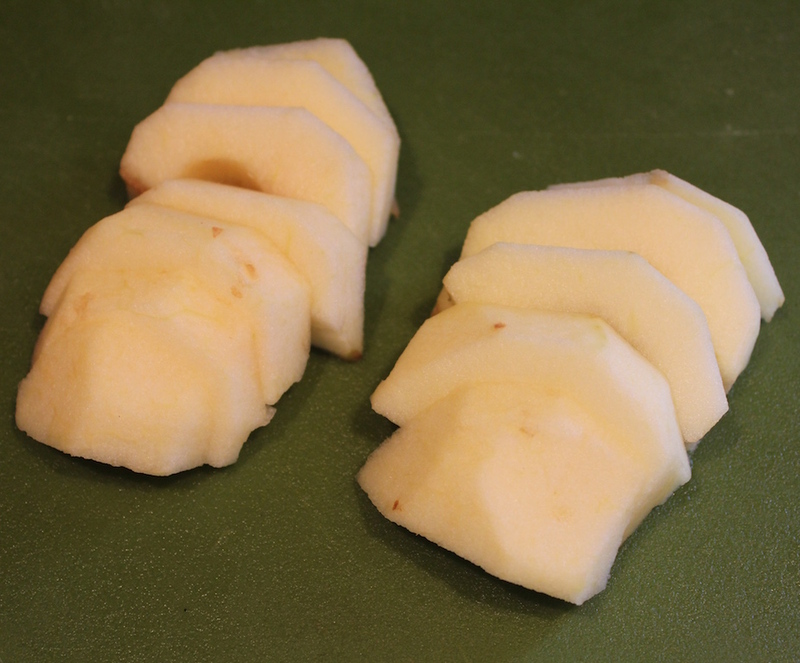 To slice an apple, cut vertically into slices. For a pie, I recommend about 1/2-inch wide slices.